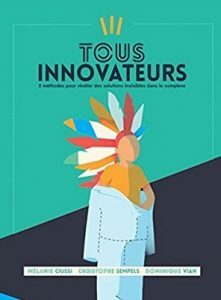 Effectuation Principles – v1 Tous innovateurs, 2 methodes pour reveler des solutions invisibles dans le complexe. Tous innovateurs, 2 methodes pour reveler des solutions invisibles dans le complexe. An innovator needs to increase his ability to perceive what connects elements of complex environments. It is useful for transforming these environments. Acquiring this skill is possible, if we learn effectual thinking. 1. I face a complex problem. What can be the innovative solution? 2. I have an idea. How to turn the innovative idea into something concrete? This book addresses recurring questions of entrepreneurship and social transformation, but from a new perspective: effective innovative methods enabling to act quickly with available means. Whom is this book for? To anyone willing to innovate and transform their environments. He also fulfills the need of transformation of institutions (large companies, governments, SMEs) and also start-ups who want to innovate when starting from problems or ideas. It was nice to see you at the 5th effectuation conference.